14 inch x16 inch Accessory Carry Bag Store and transport your stove accessories with convenience and ease. Durable bag features wrap handles and extra space for additional gear or supplies. Double as an excellent gear bag. 14 inch x16 inch Accessory Carry Bag is rated 4.7 out of 5 by 6. Rated 4 out of 5 by BGko from Perfect for BBQ accessory Bought this for my 14" single-burner BBQ accessory and it fits perfectly. Bags are well-made and seem durable, though I've only used them on one trip so far. My only complaint is the zipper can be difficult on the corners of the bags, not just this one, but all the Camp Chef bags, so I give it four stars for that reason. Not that big a deal though. Rated 5 out of 5 by Michael S from Convenient I purchased this bag to carry my BBQ grill box and it work great. Very easy to handle and keeps the contents dry and safe. Very easy to travel with. Rated 5 out of 5 by Dave2430 from Accessory Bag Great bag for both Pizza oven and BBQ box. Perfect fit bag. Rated 5 out of 5 by camping247 from Fits GrEat Bag is easy to put grill box into and keeps the truck clean! 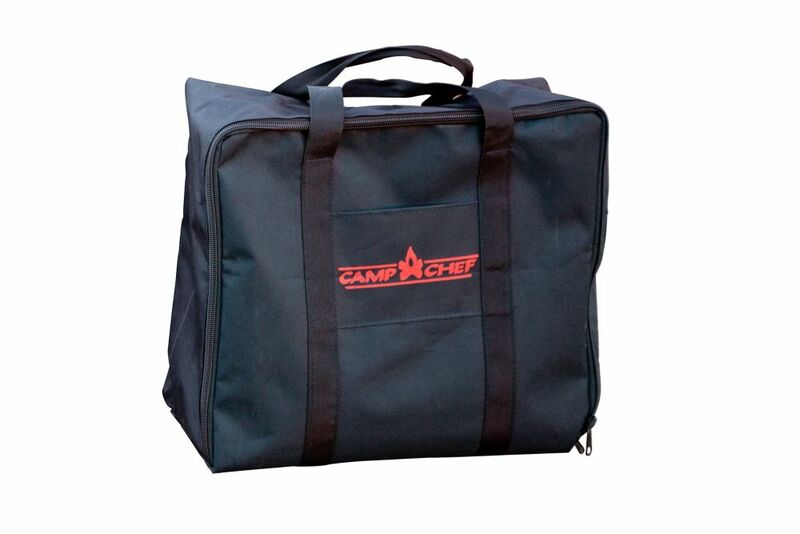 Rated 4 out of 5 by Fourleaf7 from Good fit I purchased this bag for my camp chef 14" Bbq....good fit. I don't think a 16" bbq would fit. Only time will tell how it holds up, fingers crossed.